BRAVEPORT has more than a decade of experience as a viatical settlement broker for advisors. As a viatical settlement broker for advisors, BRAVEPORT can work directly with your client or as a seamless extension of your team. Our approach is the same and we offer unmatched personalized service with open communication. Our goal is to keep things streamlined and worry-free for you and your clients. We can advise you of the policy’s value, maximize it’s value in the market, locate licensed buyers, help evaluate offers and handle virtually all of the paperwork. We even have an in-house legal and compliance department to ensure the transaction runs smoothly. 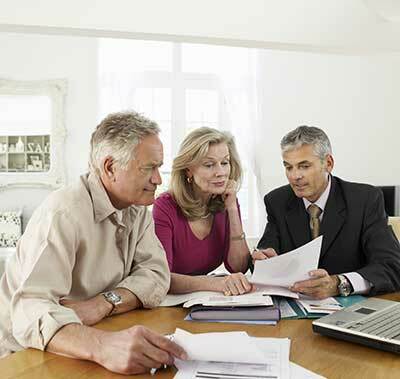 As an agent, advisor, attorney, trustee or CPA, you may have a fiduciary duty to advise your clients of their options regarding their life insurance assets. As a viatical settlement broker for advisors, we also have a duty to maximize the value of the policy and secure the best possible offer. If a viatical settlement makes sense for your clients, choosing BRAVEPORT is the ideal way to complete the transaction in the most efficient way. Settlements are all we do, and we’re helping to guide the industry with market-leading best practices. To learn more about our services as a viatical settlement broker for advisors, agents, attorneys, trustees and CPAs, please visit our advisor’s site by clicking the link below. Learn more about our Advisor's Network.